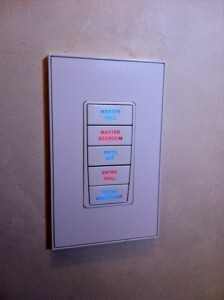 Recently, Alpenglow was contacted to evaluate a lighting control system in a private residence. The residence is at the base of one of the premiere ski areas in the country and is about 10 years old. We discovered that the house contained a small system which controls only the kitchen and parts of the living room, and it does not have the capability to control other areas, integrate with AV, HVAC, blinds, or anything else. 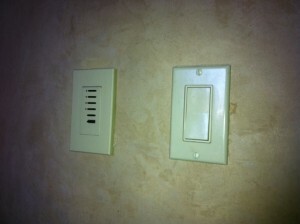 Here is a Control Station in another residence. Quick Quiz: which is easier to operate? Controls actually simplify lighting, but only if they are designed properly. Alpenglow can help you create an easy-to use, stable, and upgradable system. Contact us today!